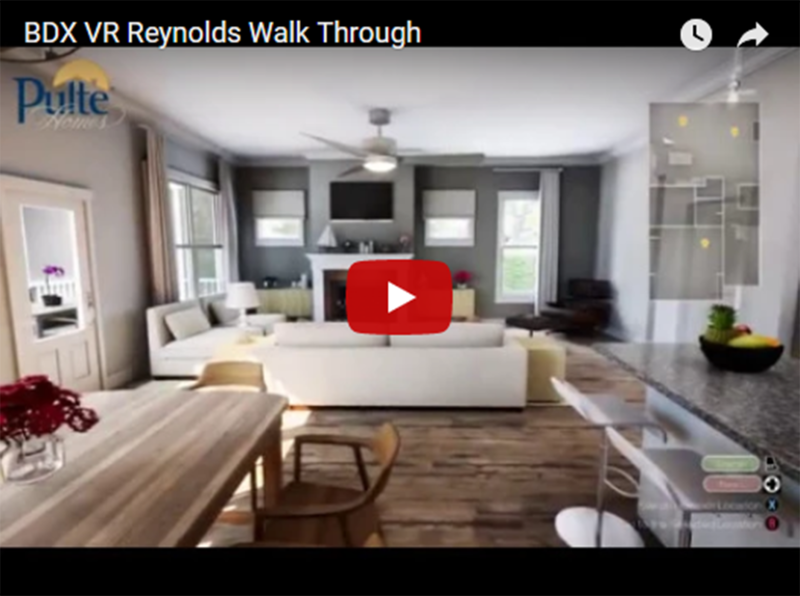 Gaming engine Virtual Reality tours from BDX are creating new opportunities for builders to engage with home shoppers virtually without the heavy investments needed for model homes that begin aging the day they open. 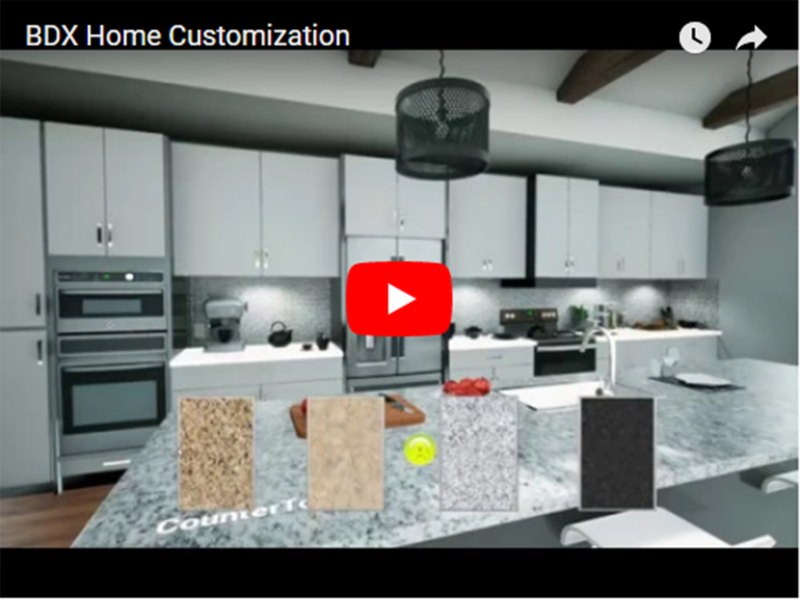 Home shoppers can “walk through” to be built plans and interact with cosmetic and structural options available while completely immersed in the home. The video game controller allows them complete control, literally putting the experience in their hands. Structural options like dining room add-ons or bay window additions take on new life and consideration outside of the standard 2D floor plan. In the architectural planning stage, new plans can be internally or consumer tested through gaming engine tours while they are still in the white model stage preventing costly architectural oversights. Plans that are built in the gaming engine system can be updated quickly and in a more cost effective manner. Furniture and décor styles can be swapped out and multiple styles showcased. High quality renderings, interactive walkthroughs and animations in many different views can be generated from the gaming engine tour making it an asset that keeps giving in terms of the benefits it can provide in marketing a new plan. 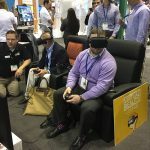 With virtual reality, builders are able to display and immerse website visitors in their homes, communities, features and basically anything before even breaking ground. This allows builders to show potential buyers what they can expect and get them excited at the very beginning of the process. We offer the highest quality VR product on the market. 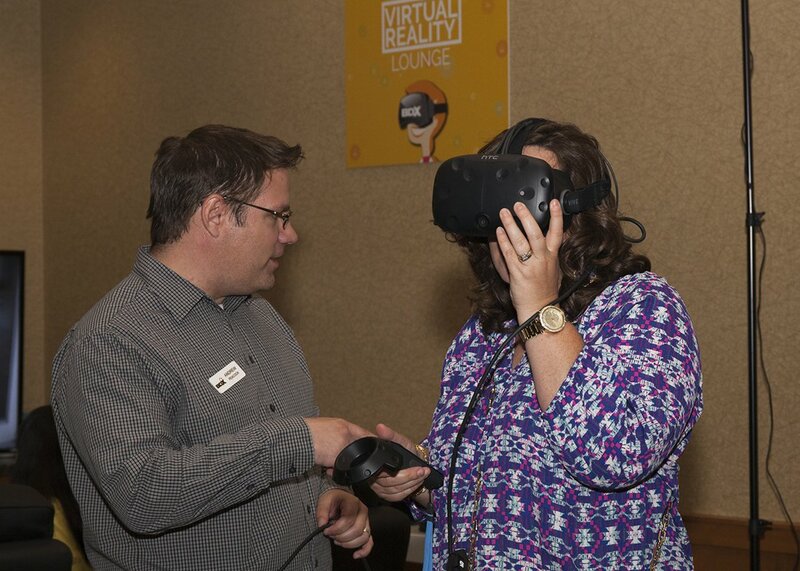 When your future buyer looks into the virtual reality device, they will be immersed in your home, as if they were touring a model. They will experience clear, beautiful, almost lifelike visual sensations of what your home will look like – as if they are there! This will leave them with an unforgettable memory of their new home. 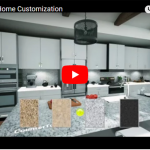 Imagine instead of only being able to look at a floor plan and see a sample of granite for your counter, you can actually walk around your new home and change out and customize every part right before your eyes. 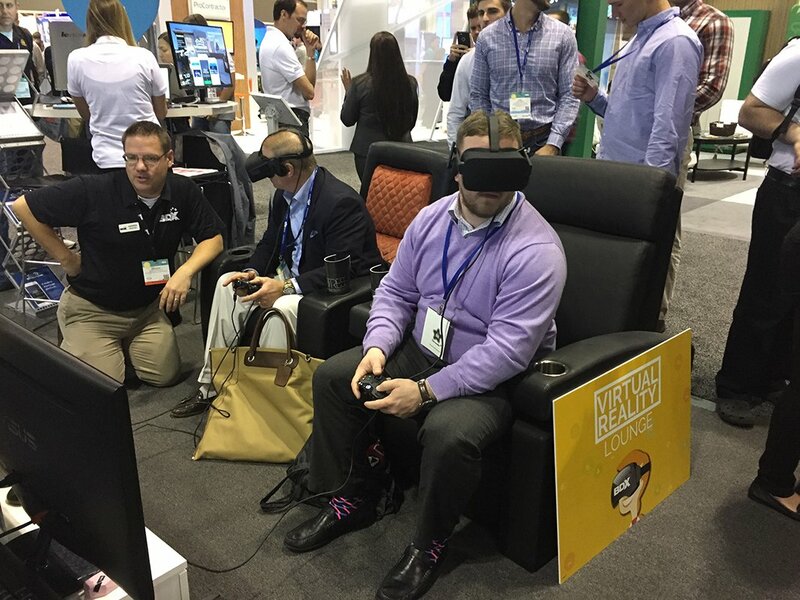 With virtual reality this is not only possible but is ready to be used in sales centers everywhere. “Most people can’t read a floor plan, and they can’t visualize how the light will come into a room,” said BDX CEO, Tim Costello. “They see the words kitchen and great room on a floor plan and the room dimensions, but they can’t visualize what that room will feel like. 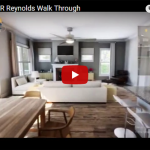 Virtual reality gives you a true sense of place, that you’ve actually walked around the room and can judge it because of the ability to see it from multiple angles.” Virtual reality tours from BDX create a memorable experience that allows buyers to emotionally connect with a home, helping them to make a decision quicker and undergo less frustration in the process.